But don't run- because this stuff is actually pretty cool. And it's made by Jedi! Well, 'a' Jedi. 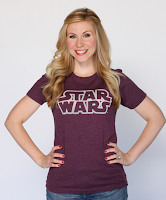 Ashley Eckstein, voice of Star Wars:The Clone Wars' Ahsoka Tano and wife of former MLB player David Eckstein, will be bringing her own brand of women's sci-fi inspired duds to the New York Comic Con show floor. 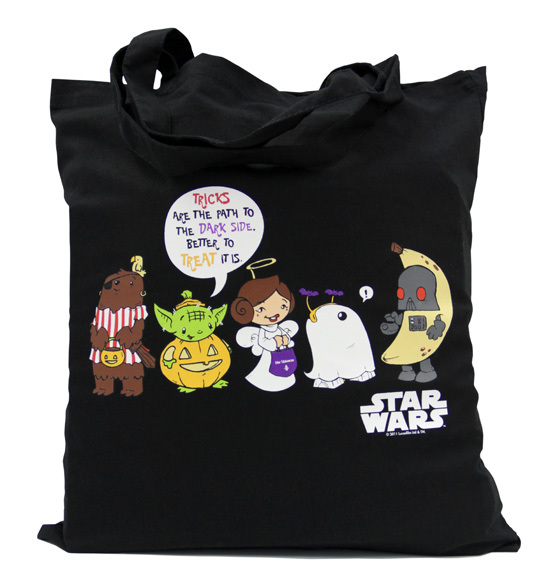 Under the Her Universe banner, Eckstein hopes to broaden the availability of science fiction merchandise that's available just for females of the species. It's a great idea, much like sports merch, cool (and actually wearable) sci-fi clothes can be a wee bit hard to come by for women. Stop by the Her Universe booth at the show October 13th - 16th to say hi and do a little shopping. HU will be offering a few exclusives in limited quantities too, so be early!